Oak Brook Therapist: Catherine Gruener - Therapist 60523. Nearing 2 decades of experience within the mental health field, Catherine founded Gruener Consulting LLC to positively affect the health and well-being of children, families and communities. Catherine and her colleagues provide counseling, psychotherapy and parent training in the Oak Brook location, and online through a HIPAA compliant webcam app and program. 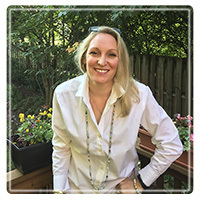 Catherine is a licensed clinical professional counselor and national certified counselor, with a master’s degree in neuropsychology and a second master’s degree in professional counseling from Adler University. She holds professional memberships in the American Counseling Association, the North American Society of Adlerian Psychology, the Illinois Counselors Association, and has been an active member of the Illinois Association for Gifted Children Social and Emotional committee since 2009 and is on the Board of Directors for the Association for Child and Adolescent Counselors, a Division of the Illinois Counselors Association. She holds certifications in Positive Discipline, trainings in Parent Management from the Yale Parent Center, and has presented and provided educational seminars on parenting, Positive Discipline, and the social and emotional needs of gifted children with local and national organizations since 2009. Catherine offers counseling and therapy services for adults, adolescents, parents, and families. She specializes in anxiety, asynchronous development, and executive functioning, which gifted and twice-exceptional children, adolescents, young adults, and families often face. Her approach toward counseling is integrated, strength-based, and solution-focused. She believes in identifying strengths, getting to the heart of the matter in order to personalize interventions that guide her clients into creating the positive changes that they want in their lives. Watch one of Catherine's presentations entitled "Parenting for Peace and Harmony" given at the 2018 Best You Expo in Long Beach, California. Or Call Catherine at (872)216-5860 to learn more about her Private Consultations, Coaching and Parent Training.